Union Square: 750 sq ft.
West Village: 1,500 sq ft.
Cooper Square: 1,000 sq ft. In 1996 Liquiteria pioneered the original cold pressed juice in New York City. Seventeen years later, this lifestyle concept has taken over the country. With Liquiteria’s new ownership, Crown was the first professional services team selected to further their rich history, quality, and loyal following of the 18-year-old brand. Crown led and was the driving force in the expansion from their initial 800 sq ft location on Second Avenue to four new fully operational locations in less than two years. Building a strong relationship with the owner, Crown was also entrusted to work on Liquiteria’s office space and the owner’s private apartment found above one of the buildings acquired for its retail corner. Crown’s responsibility began with the due-diligence and surveying of each new location, in addition to countless retail sites and commissary locations that were passed on, and qualifying each lease to ensure the language favored Liquiteria in the case of landlord negligence or unforeseen circumstances that cannot be discovered during the due diligence phase. From there Crown handled all the architecture, sourcing of new finishes while respecting the integrity of the flagship design, and expediting. Working in many different footprints and existing conditions, Crown has built a model for this brand to be expanded nationally. 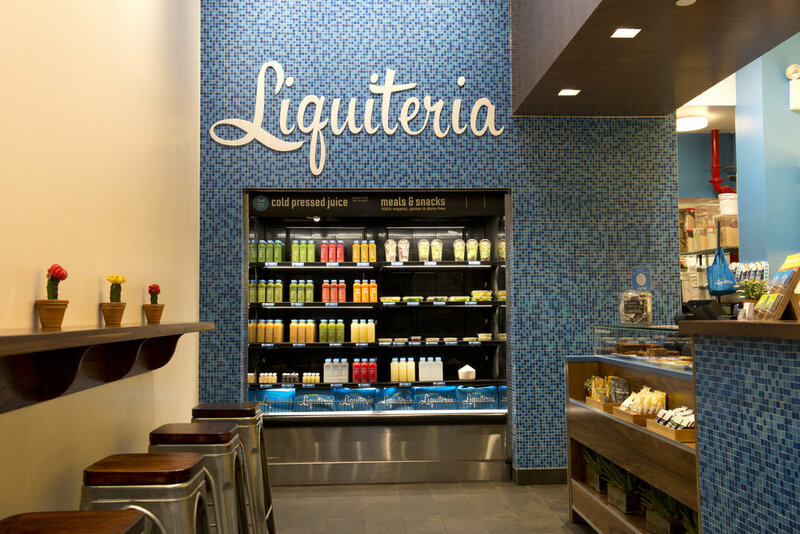 All Liquiteria’s locations are flooded daily with loyal patrons, continuing the legacy and further defining their brand on New York City’s retail scene.